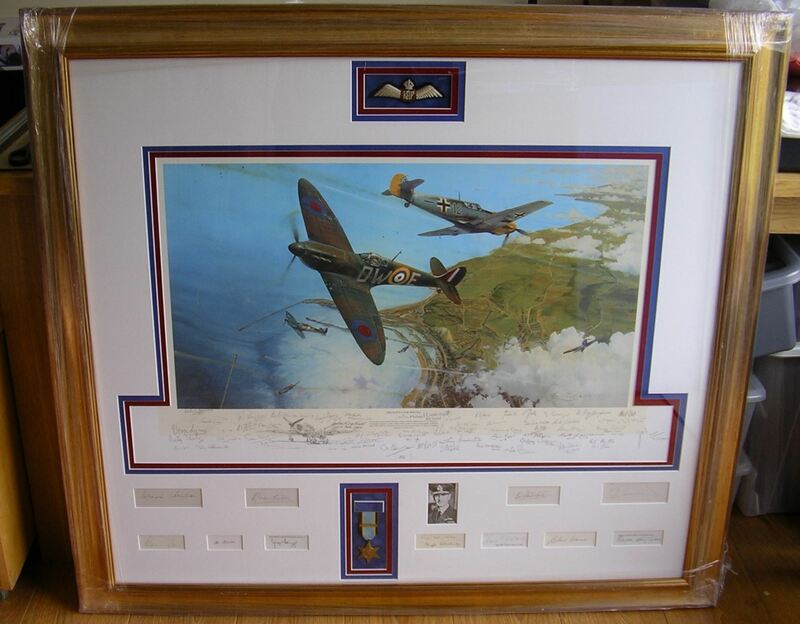 This spectacular Robert Taylor Edition was released way back in 2004 and depicts two of the most iconic fighter aircraft of the Battle - the immortal Spitfire and the lethal Me109E. 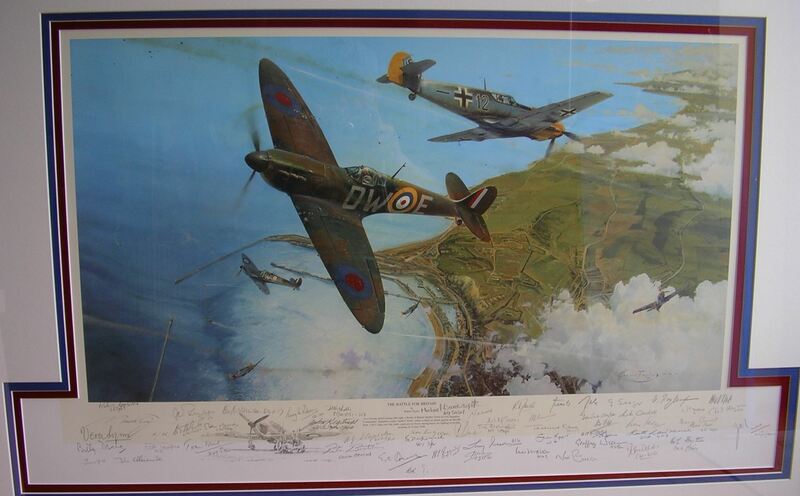 In the late morning of July 10th 1940 a Spitfire from 610 Squadron flown by Squadron Leader Andrew Smith has just made a head-on attack against a Me109E from I/JG3 high over the port of Dover. 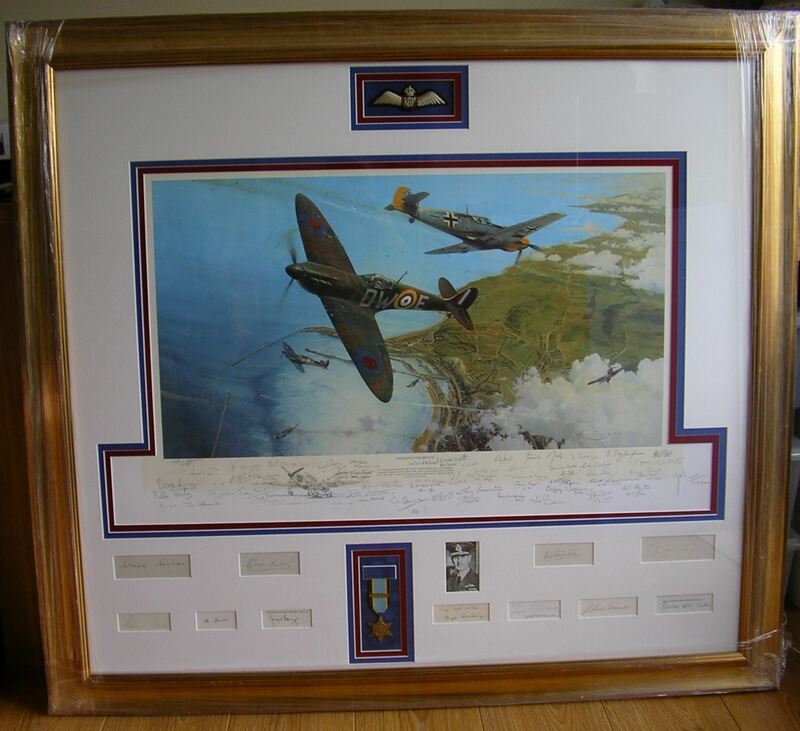 Additional Spitfires and Messerschmitts are now duelling below as, further out to sea, Dornier Do17's attempt to attack a convoy. 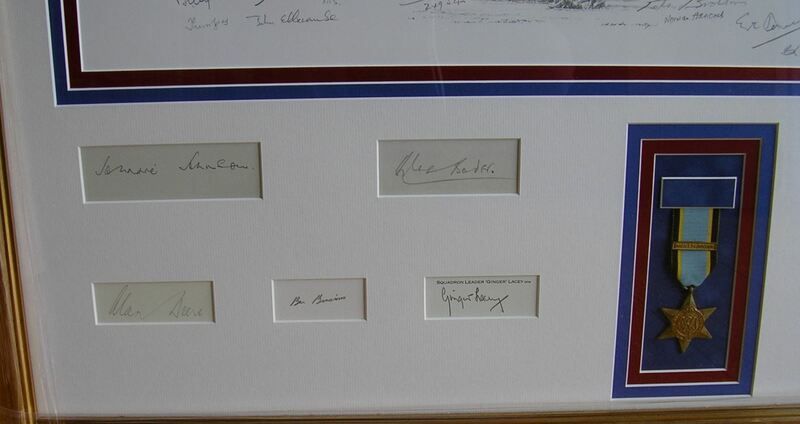 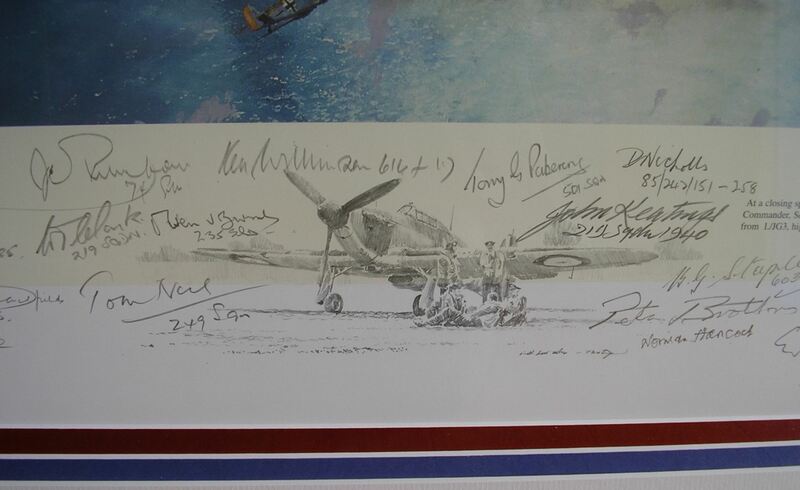 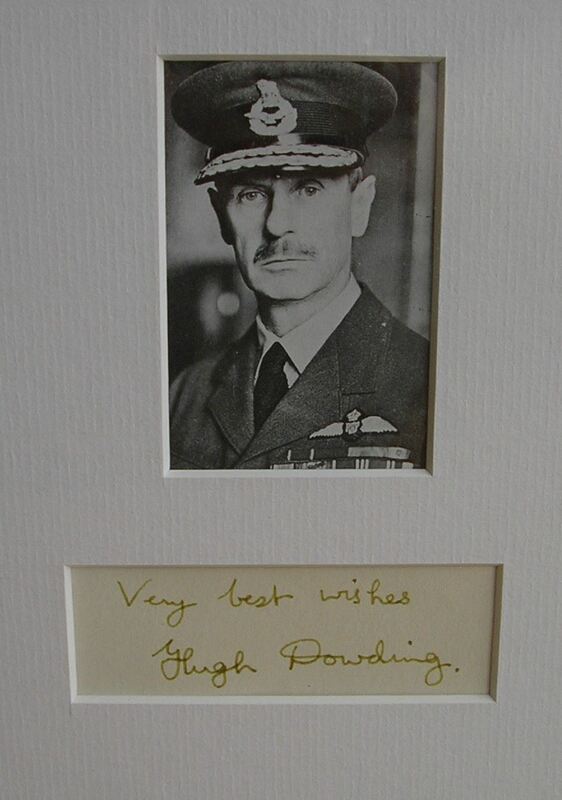 This Print is an extremely rare example of the Remarque Edition that has been signed by no less than 52 Battle of Britain veterans!! 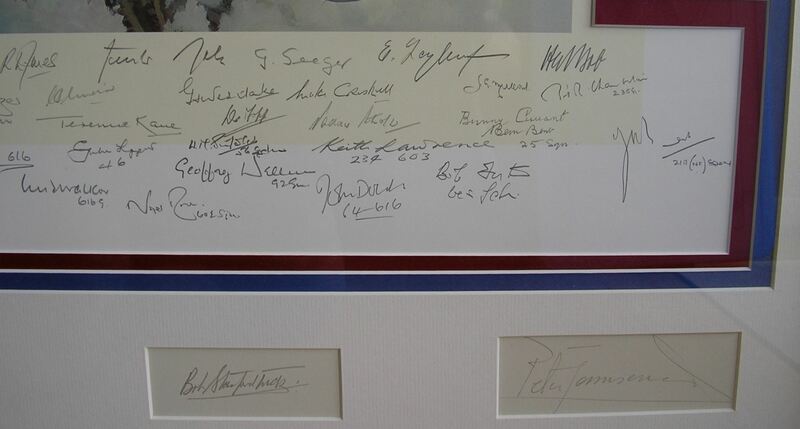 A TOTAL OF 63 SIGNATURES!!! This piece has been Framed with a pair of ORIGINAL WW2 RAF wings and measures an impressive 46 x 41.5 Inches!